negative pronouncements stoked by fear. I’ve been thinking recently about how agreement is achieved, and the difference between change by consensus vs the forward march of progress by decree. 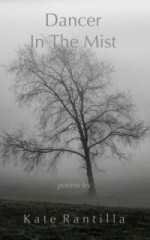 Categories: creativity, poetry | Tags: movement, poetry, ripples | Permalink. their mass a seamless joining. friendship often seems a purely random thing, but it is necessary to be open to it, wherever it is found. sometimes it presents itself smack in our face, not to be ignored. this poem is for two dear friends I have known for but a year and yet forever, both Deborahs, who celebrate their birthdays this month. Categories: nature, poetry | Tags: friendship, poetry, rain water | Permalink. of the journey into faith. for Tom Atkins, the preacher Deborah Rahalski and I heard that day, our friend and fellow creative spirit, on the occasion of his birthday. Categories: life up here, poetry | Tags: choir, preacher, singing, sitting in | Permalink. 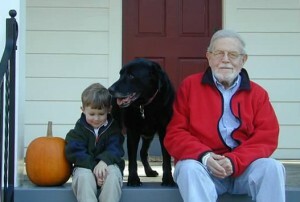 nine years ago today, my father died at 89, suddenly, but blessedly not alone, my sister was with him. his legend looms large in our lives, to quote a beatle, and I know we all miss him, need him, still and always. Categories: certainty of love, family, poetry | Tags: father, memory, poetry | Permalink. this has the benefit of being true, as my southern grandmother used to say, in that I did choose to walk through the dew this morning, only to get to work and realize that I’d had a major brain fart, and was two hours early. yes. sigh. after running a couple of errands (where I did see a fox in my bank’s parking lot), I spent a blissful hour beside Nubanusit Brook, in “downtown” Peterborough, on a granite bench. near the perfume-rich tree in the photo. writing. Categories: nature, poetry | Tags: dew, poetry, walking through dew | Permalink. for The Open Group at Bedlam Farm and for Jon Katz who saw the light, and told us it existed. Categories: creativity, poetry | Tags: creativity, light, poetry | Permalink. Categories: haiku, poetry | Tags: haiku, Jon Katz | Permalink.